London, 14 March 2016 – Marlink has introduced the innovative Universal Card Go, a new single multi-band prepaid solution for crew Internet access and voice calling on all service types. 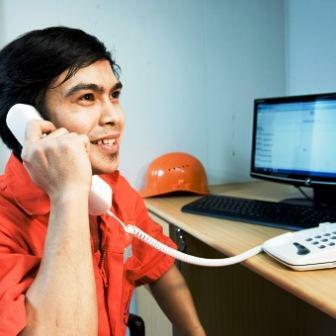 As a single communication payment solution for maritime crews, Universal Card Go makes using the telephone and Internet much easier for crews, while streamlining the billing process for vessel managers. Universal Card Go is the first pre-paid solution in the maritime market that covers both voice and data usage and is for use across all Marlink VSAT (Very Small Aperture Terminal) services, including new 1GB plans offered with separate prepaid crew access. 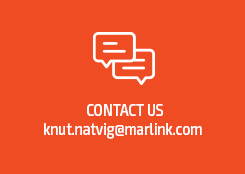 Universal Card Go is an evolution of Marlink’s established Universal Card solution, which is today used by over 40,000 seafarers. It was developed in response to demand from ship owners, crew members and service provider partners for simplified access to voice and data services on VSAT and MSS (Mobile Satellite Services). By reducing the amount of prepaid methods required for accessing different services to just one, Universal Card Go instantly simplifies the whole process for crew communication facilities. It works for calling mobile phones and land lines, sending SMS and Internet connectivity over Ku-, C- and in the future Ka-band VSAT, in addition to L-band MSS from Inmarsat and Iridium. Using a Universal Card Go account, crew can communicate using fixed terminals on board or on their own personal devices over Wi-Fi. Each time a call, message or web session is initiated, remaining credit is reported to the user. Airtime and data costs are highly competitive, providing excellent value for money for crews in parallel to the benefit of not having to top-up multiple accounts to access different types or services. Vessel operators also benefit, as Universal Card Go separates corporate and private networks so bandwidth is always available for business critical and operational communication. Universal Card Go is compatible with new 1GB VSAT service plans from Marlink, which provide post-paid data and two voice lines for ship’s business activities. The new ‘entry-level’ plans provide a reliable, global and always-on link up to 1.5 Mbps data throughput purely for business connectivity applications, such as monitoring of vessel performance and collaboration with headquarters. Customers can also per vessel choose to add the Crew prepaid package, which provides an additional two voice lines and Internet connectivity for crew, administered through Universal Card Go, and without affecting the data connection for business needs. “Universal Card Go enables senior officers to concentrate on vessel operations while crew members enjoy hassle-free access to communication facilities. A single payment solution for multiple connectivity services fits perfectly with our multi-band approach, which focus on the application more than the frequency band of the service,” said Tore Morten Olsen, President Maritime, Marlink.